Choose Scotch? 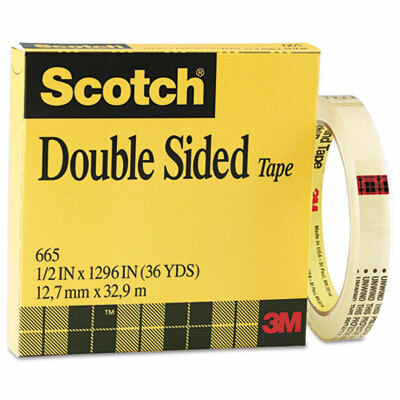 Double Sided Tape for the satisfaction of a job well done. It's a neater alternative to messy glues that will keep your hands and workspace clean. The tape's double-sided adhesive attaches your documents to poster boards or layouts without showing for a more polished presentation. It pulls easily off the roll and cuts cleanly to the length you need for any project. There is no liner to dispose of so you enjoy frustration-free taping. When you want to make a good impression, choose the smart, no-show solution. Has a 3 inch core.